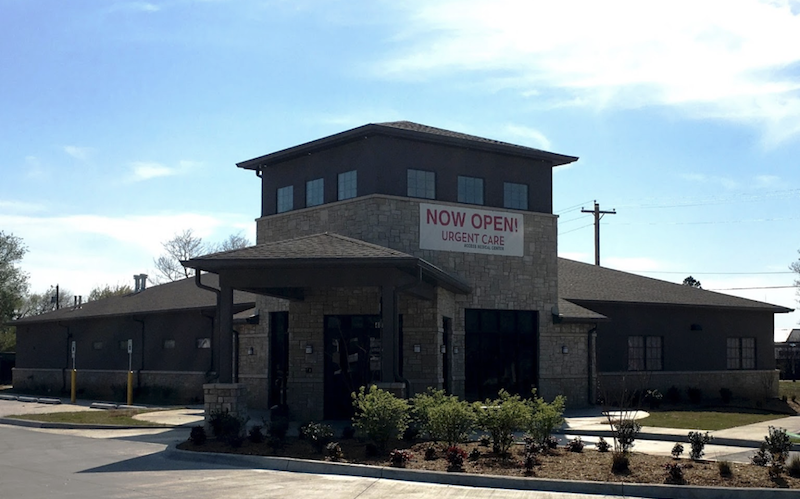 Serving both adult and pediatric patients in the Tulsa area, My Doctor Urgent Care sees walk-in patients 7 days a week, treating non-life threatening injuries and illnesses, as well as routine immunizations and well visits. You can find this clinic located at 7153 S Yale Ave and patients can walk in to see them today from 8:00am to 8:00pm. My Doctor Urgent Care accepts many major insurance plans and multiple forms of payment, making it easier to get the affordable care you need. It is always a good idea to contact your insurance company before your visit to ensure the Clinic is in network for the service(s) you're seeking. I had a nightmare of an experience. I cannot seem to get any actual care from Dr Stacy. He does not demonstrate any interest in my health or well being. He is haughty and full of pride. He tried to deny that I was told by his staff that I have a thyroid condition. This place is a loose operation, very questionable in their conduct. They were negligent when they told me I had hypothyroidism - which later Dr Stacy tried to back peddle and change the diagnosis on, downplaying it as a subclinical condition. I have no idea if i have the diagnosis or not as they have not given me documentation on the tests they say they did on it. Today, I drove over to pick up a prescription for a CT scan, when I arrived to pick it up the receptionist informed me she shredded the prescription as I was to pick it up within the hour it was written. And she added that the doctor would not be writing me a another prescription despite the fact that the receptionist had made the brilliant decision to shred mine. She refused to take a message down to have him call me to straighten this out, she said it wont do me any good because he is not going to do anything. I am in shock. the CT scan is because of symptoms I am having which include sever pain. Where do you people find the justification to treat people this way. I had a nightmare of an experience. I cannot seem to get any actual care from Dr Stacy. His staff is hateful. They are negligent, and told me I had a condition - which later Dr Stacy tried to back peddle and change the diagnosis on. I have no idea if i have the diagnosis or not as they have not given me documentation on this vague diagnosis. I drove over to pick up a prescription for a CT scan, when I arrived to pick it up the receptionist informed me she shredded the prescription as I was to pick it up within the hour it was written. And she added that the doctor would not be writing me a another prescription despite the fact that the receptionist had made the brilliant decision to shred mine. She refused to take a message down to have him call me to straighten this out, she said it wont do me any good because he is not going to do anything. I am in shock. the CT scan is because of symptoms I am having which include sever pain. Where so you people find the justification to treat people this way.